"We had a very complicated retro fit patio erected by Nathan and team from Peel Patios. Nathan's patience and diligence paid off. We have an amazing, HUGE, stunning space outdoors - with no leaks. We have renovated many homes and Nathan would be one of very few tradies who communicates constantly with and listens to the client, is so respectful of clients property, (cleans up after every day) and there are no short cuts. His meticulous attention to detail and pride in his work makes the finished project perfect. Thanks Peel Patios, we would recommend Nathan and team any time." via Facebook & email. What more can I say. These guys do a fantastic job from start to finish. From their customer service all the way through to the completed package of a new patio... highly recomend. 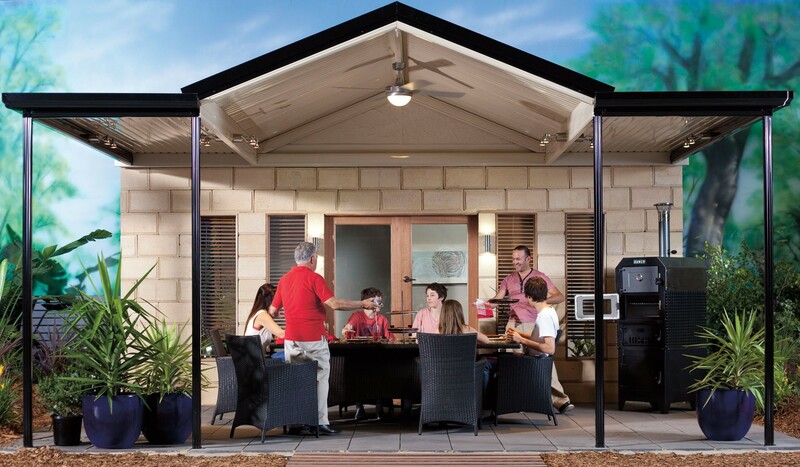 Local people that build patios to suit our Australian conditions. Modern and strong and second to none as far as workmanship goes....Thanks Peel Patios!!!" - via Facebook. "Peel Patios assisted us from start to finish and provided exceptional customer service. The patio looks fantastic and I would highly recommend Peel Patios. Thank you Nathan and Claire for all your assistance." via Facebook. "Cannot express how happy we are with their service and workmanship, our patio and veranda look amazing and the guys were all friendly and professional and Claire was a pleasure to deal with. I highly recommend Nathan and his team, thanks again guys"
"Peel Patios have almost finished a big job at our house and they have done a great job. The gutters, patio and verandah make a huge difference to our house and looks great! The team were very professional from start to finish and they know their stuff!! They use great products (Stratco) and the installers did a great job. Thanks Nathan and Waylan (Jessie) and the other guys who popped in for certain bits, a big high 5 and job well done, also the boys even cleaned up at the end! If you are looking for a patio then contact Nathan. Thanks again." via Facebook. ​"We are very pleased with the patio. The workmanship is very good and the guys cleaned up after themselves prior to leaving. Dealing with both yourself and Nathan has been a pleasure. 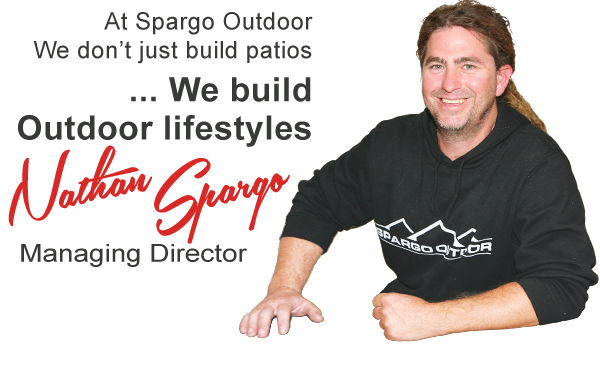 We would recommend Peel Patios to everyone." via email. "We are very happy with the patio. The service was absolutely amazing, we could not be any more pleased with how it turned out. I will be in contact with you guys soon about doing our front verandah. Thank you so much!" - via Facebook. "Nathan has excellent customer service . Highly recommend him"
Thank you, really happy with your friendly efficient service and getting the job done in the time you said you would. Also glad you suggested the design as it looks good – Big but good! Nice to see old fashioned customer service – well done." - via email. I would like to thank you so much for our beautiful Stratco Outback patio. From day one of contact with you the experience has been wonderful. The guidance & support we received was very much appreciated. The team arrived onsite & were all professional, courteous & an absolute pleasure to have around. They all worked together as a team & it was really fantastic to see. We have since had Nathan back to install extra to our patio & once again a perfect result. I would highly recommend Peel Patios, in fact I would insist that people contact you first before going anywhere else. These days it's hard to find trades people who have pride in their work, Nathan & his team definitely do & our patio is proof of that. Love Love Love it!!!! Thank you again." “A HUGE thank you to Nathan and his team for transforming our living and entertaining space! Our small home now has a HUGE outdoor entertaining area and has become an extension of our house. Thank you and your team for such an awesome Patio we are thrilled with the way it has turned out -such an amazing covered space that will get lots of fun use. “Where to start? Firstly, the completed work is Amazing! Knew exactly what we were getting and the timeline in which it would be done. Service is second to none and if anyone is looking to get a wonderful outdoor area done, cannot recommend Nathan, Jess and their team enough. Amazing.” - via Facebook. I have just had an appraisal on our property after you built our patio (nearly 5 years ago now!) and the real estate agent walked out the back and stopped and just said ‘Wow, this patio adds so much value to your property and is a major selling point’. We are so pleased with this result! Thanks for your suggestions at the time and building us a patio that has added to the value of our property. Thanks." “Fast professional service. Did a fantastic job on our patio. Highly recommend Nathan and his team!” - via Facebook. At Peel Patios we value our customers and always seek to provide a level of service and support other patio companies can't match. However, we know there is always areas we can improve on so we welcome honest feedback and ideas on how to make our customer experience even better for the future. Feel free to let us know how you have found our service and what we could do to improve. We appreciate your business and the time taken providing feedback.